THIS EVENT IS SOLD OUT. 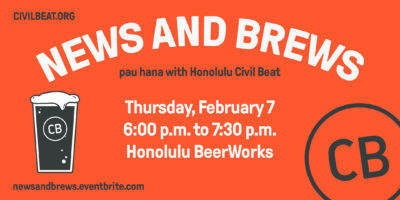 Join us at Honolulu BeerWorks for a meet-and-greet with Civil Beat reporters and staff. 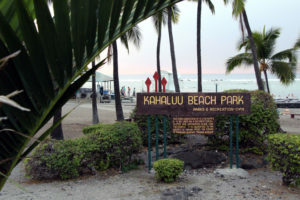 This no-host pau hana will be located in the outside beer garden. Light pupus will be provided. Cheers! This event is free and open to the public, but space is limited, so please reserve your spot in advance here. Civil Beat Trivia: All The News That’s Fit To Quiz! Honolulu Civil Beat is partnering with Trivia Hawaii for a fresh new night of news-themed questions. Teams of up to six people faced challengers, including a team of Civil Beat reporters. Winners went home with gift cards to Square Barrels, new Civil Beat swag and major bragging rights. Fresh off our year-end fundraising campaign, we invited all our members, new and old, into our office for a casual conversation with Civil Beat reporters and editors. Hosted by politics and opinion editor, Chad Blair, we discussed what beats are brewing for the new year. On Thursday, January 10, Civil Beat hosted Civil Cafe: Legislative Preview 2019. This panel discussion was moderated by Civil Beat’s politics and opinions editor, Chad Blair. 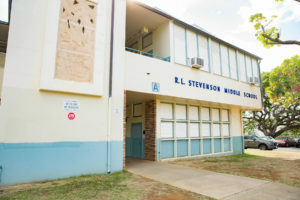 Panelists included Senator Karl Rhoads, Representative Sylvia Luke, Josh Wisch from ACLU of Hawaii and Janet Mason of the League fo Women Voters of Hawaii. Watch a highlight video of Re. Sylvia Luke’s final points on the 2019 Legislature here. Rep. Sylvia Luke and Sen. Karl Rhoads discuss what is happening with rail here. 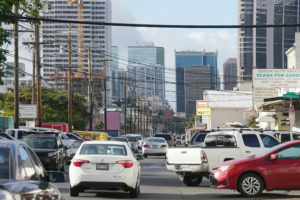 This cost-of-living event featured stories from a diverse range of Hawaii residents talking about “How I Make Ends Meet.” Each storyteller shared their experience about how they afford to live in the islands. From multi-generational living to multiple jobs, we heared their stories of struggle and hope and how living in Hawaii requires sacrifice, grit and in some cases creative solutions. Storytellers: Lauren Hana Chai, Jonathan Swanz, Hanalei Bishop, Vic Craft, Anniken Rose and more to be announced. You can watch their stories here. Thank you for joining us for our member coffee. This event has passed but we hope to see you at a future Conversation and Coffee event! 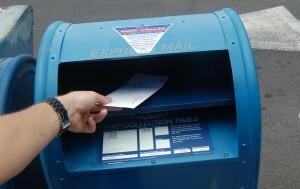 Civil Beat Elections Trivia: All The News That’s Fit To Quiz! Civil Beat Trivia: All the News That’s Fit to Quiz! 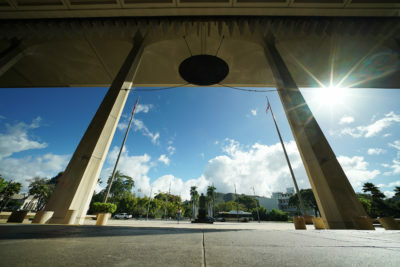 is a new event series presented by Honolulu Civil Beat. Teams compete in a battle of wits in our news-based trivia game. 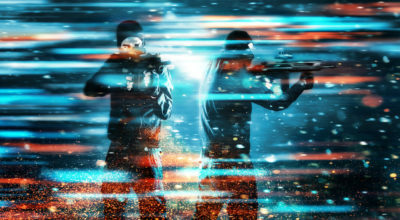 Play in groups of up to six or sign-up individually, and we’ll match you up with others for the chance to win limited edition Civil Beat swag. Participants are encouraged to work together (without phones) and compete in 3 rounds of 10 questions each. This event is free and open to the public, but please RSVP in advance. 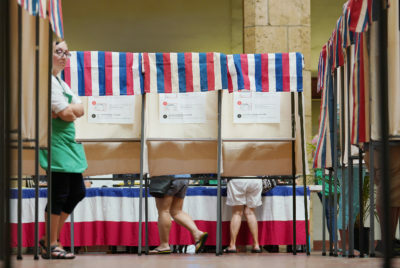 Civil Cafe: Should Hawaii Hold A Constitutional Convention? 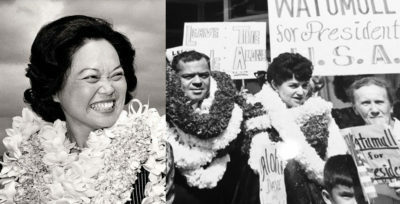 This October, Civil Beat is partnering with Hawaiian Airlines to host back-to-back panel discussions on two critical questions that will appear on the November ballot. On October 9, join us as we discuss holding a state constitutional convention, which has been seen as a way to challenge the status quo and place power back into the hands of voters. We’ll weigh the pros and cons, discuss its implications and touch on specific aspects of the proposal that are still up for debate. The event will be moderated by Civil Beat’s politics and opinion editor, Chad Blair, and feature local experts and commentators. This event is free and open to the public, but please RSVP in advance. Civil Beat is taking our events on the road! On Saturday, October 6, please join us for coffee and a casual discussion with Jim Simon (managing editor) and Blaze Lovell (reporter). Mix and mingle with Civil Beat’s team and share your thoughts and questions about our coverage and ideas for future stories. Enjoy complimentary coffee, tea and refreshments. Space is limited, so please RSVP in advance. Civil Cafe: Should We Use Property Taxes To Fund Schools? This October, Civil Beat is partnering with Hawaiian Airlines to host back-to-back panel discussions on two critical questions that will appear on the November ballot. On October 2, we’ll consider a constitutional amendment to fund public education. This proposition mirrors other states in that it would give our Legislature the power to impose new taxes on investment properties. We’ll weigh the pros and cons, discuss its implications and touch on specific aspects of the proposal that are still up for debate. The event will be moderated by Civil Beat’s politics and opinion editor, Chad Blair. Civil Beat hosts numerous public and member-exclusive events every year, including monthly member coffees and pau hanas, Civil Cafe panel discussions, and an intimate speaker series known as Hawaii Storytellers. Through our events, Civil Beat looks to foster community discussions by providing a place where citizens can share their thoughts and debate important issues in a civil manner.